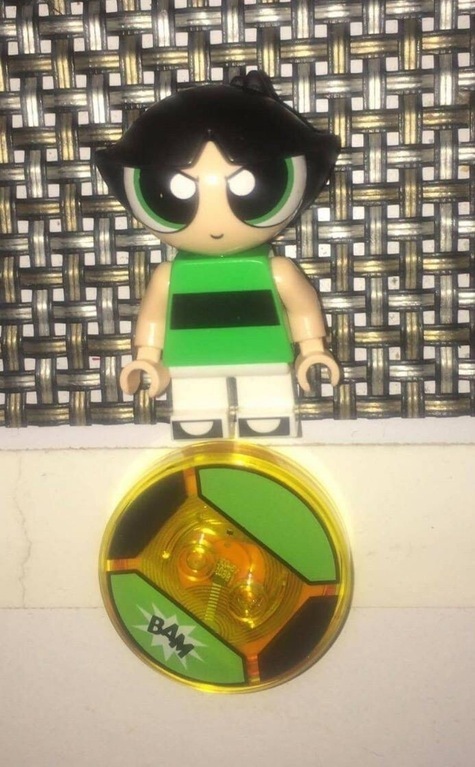 We may have our first look at one of the Powerpuff Girls LEGO Dimensions minifigures! As you may remember, Powerpuff girls is coming to LEGO Dimensions later this year with all three of the girls being represented. The sets are currently rumored to be a team pack and fun pack. We heard previously that these figures would include a unique headpiece as well, rather than trying to adapt the Powerpuff Girls to the standard LEGO head. You can also see that this minifigure will include the “smaller” legs as well rather than the standard LEGO minifigure legs (Which means these legs are not pose able). We’ll have to wait and see if this in fact a genuine piece!